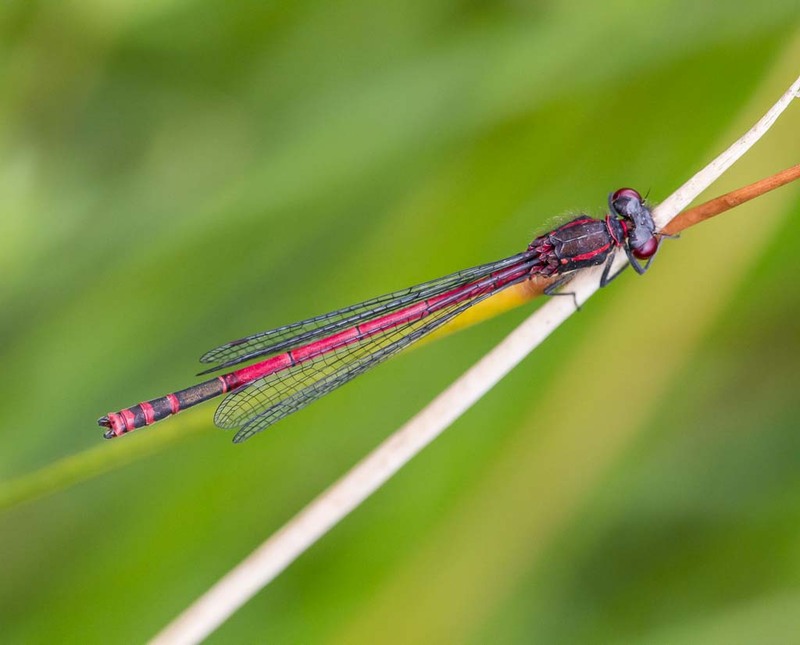 The British Dragonfly Society have reported that a Large Red Damselfly has been spotted in Cornwall. You can keep up with all the latest dragonfly sighting here. The Large Red Damselfly Pyrrhosoma nymphula is usually the first dragonfly or damselfly to be seen each year. It can be found across the whole country including both Orkney and Shetland. Larvae develop in the water for two years and reach the final stage of development, final instar, at the beginning of the winter to emerge as adults as soon as the water warms in spring. A useful identification guide can be found here. This entry was posted in News on 08/04/2015 by admin.